We all know people who want everyone to know they’re the smartest guy in the room, but you rarely see someone wise trying to be the center of attention. Smart people tend to process information logically whereas someone with wisdom understands you need to consider intangibles like emotions, an individual’s spirituality, and their life experience. It’s the kind of brain power that helps you make sound decisions, like being smart enough to know that every variety of pepper from bell peppers to jalapeños are fruits, but common sense to realize they don’t necessarily belong in a pie. You can be born smart, but wisdom takes time and experience. The Bible talks a lot about wisdom. In fact, depending on which version you’re reading, the word occurs hundreds of times, while the word “smart” is never used at all. There are a few references to intelligence, but smart? Nope. Not even once. In the book of Kings, Solomon asks God for wisdom so he could be a good king. Note, he didn’t ask to be smarter – but wiser. Solomon understood that as the king, he’d need not only to be smart and know the law, but he’d need wisdom to be just. Ideally, we’d all like to have both – book smarts and wisdom. But that’s only possible if you’re willing to step outside your comfort zone and get your hands a little dirty. Ask God to challenge you – dive into the word and then apply what you’ve learned to real-life situations. Use your life experience to speak wisdom and truth from God into the life of someone else on their journey. Knowledge is information. Wisdom is understanding. Wisdom is taking what you know and putting it to work. 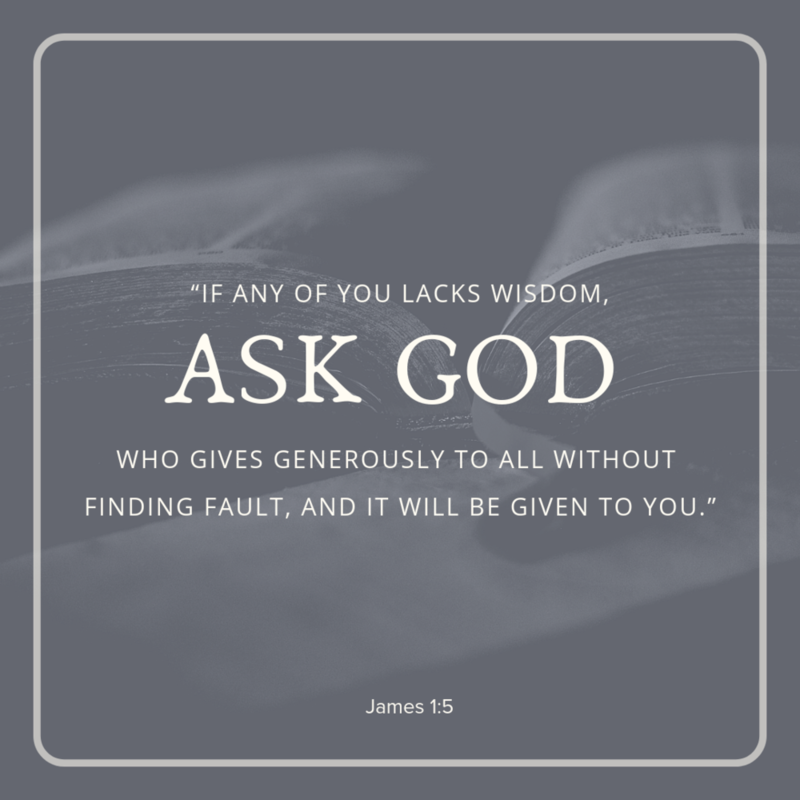 Who is someone in your life that you consider to be wise? In what ways have you seen Biblical wisdom exemplified in them? How does the world define wisdom? How does that differ from the Bible’s definition? Read 1 Cor. 1:30, Col. 2:2-3. In what ways did Jesus embody wisdom from above in His life and ministry?